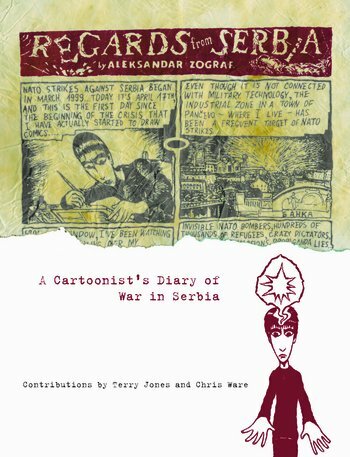 As the NATO bombs fell on his hometown of Pan&ccaron;evo in 1999, Serbian cartoonist Aleksandar Zograf used his diary comics and e-mail to reach out to the world and offer a glimpse at the effects of the attacks. Over the weeks and months of the war, Zograf documented not only how the bombings shattered the lives of his friends and neighbors, but also how the routine of daily life remained unchanged. The most recent attacks on Pancevo's oil refinery are contrasted with the latest local soccer matches -- and American propaganda flyers are as likely to fall from the sky as American comics are to arrive in the mail.